Had a busy day away from the garden, so I’ll have to do a walk-about tomorrow and give you an up date! I mentioned that I have a seedling tray full of sweet basil amd roma tomato shots and that I’ll be transplanting them to larger, individual seedling trays. Last year I grew bushes and bushes of sweet basil from seed and I find them the easiest plant to grow. The way to keep them growing is to nip off the tips of the bush. This will keep them growing and growing. As soon as they go to flower they complete the cyle of the plant and then they are no longer eadible. So keep nipping!!! 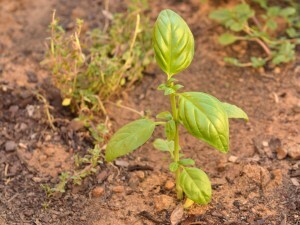 With its aromatic leaves, basil is one of the most popular culinary herbs. 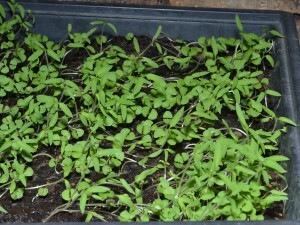 A frost-tender annual, it is easy to grow from seed or seedlings. 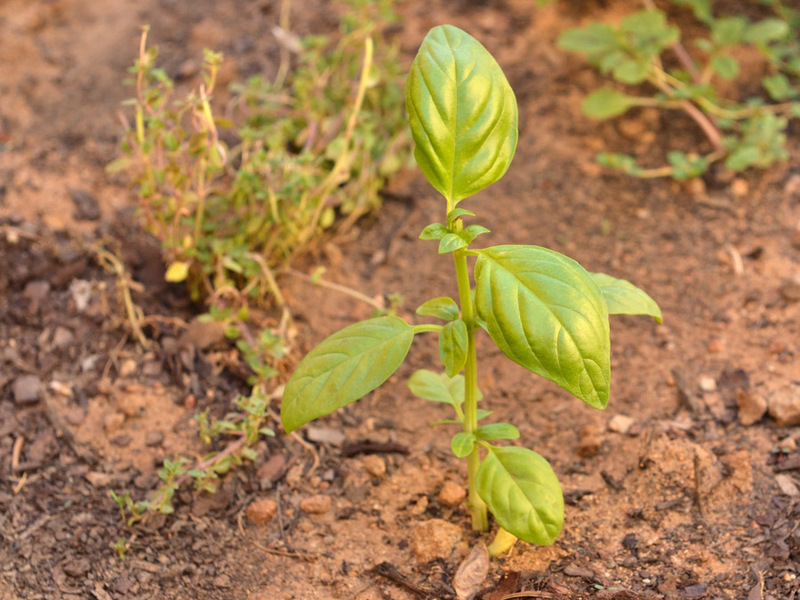 Basil, which grows to a height of 40cm, does best in a sunny spot in light, well-drained soil. Water regularly, especially in hot, dry weather. Don’t forget to pinch out tips and flowers to encourage growth. 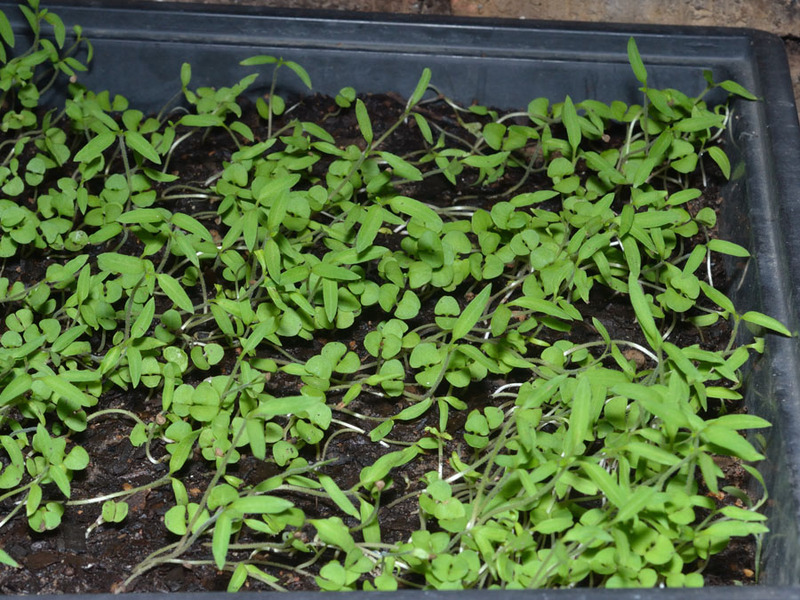 Companion plant: Tomato – Plant next to tomatoes to improve flavour and growth. Basil is first on my list of herbs to grow when I get my veggie planter! By the way, I found out about the plastic sheeting and where to get it. It comes in huge rolls so I’ll get one for us. Absolutely the best. We had a salad for lunch today from our veggie patch and it included sprigs of sweet basil. It just brings a beautiful flavour to the table. Yum yum. Fantastic – just a word of advice – the plastic needs to have a thickness of 250 microns in order to have longevity. I think they call it building DPC. Yes exactly, thats what Gavin told me (the builder friend), he says it comes in different microns and its called DPC. You can either buy it in rolls or you can buy pieces (they cut to size). I think I should just get a roll, then we have it. He says I can get it from any Mica or Builders Warehouse. Tell me when you are ready for me to go get it, ok?